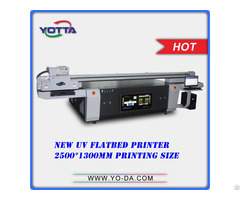 With high printing performance, YD2513-R5 UV flatbed printer, which is designed for high-end products, can achieve high-quality on a wide range of materials. Adopting internal heating industrial Ricoh Gen5 print head, the printer delivers brilliant colors and high print resolution in 600*2400dpi. 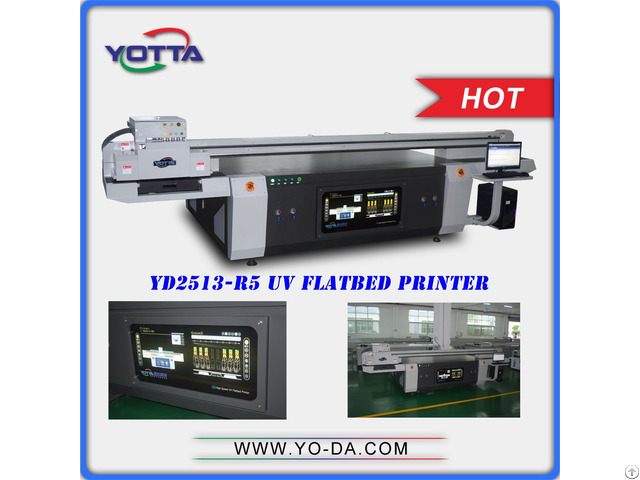 With high print speed of 36M2/h (4PASS), YD2513-R5 can meet your high-precision and production efficiency requirements. 1, Ads & Signs industry: UV banner, UV light box film, Simulation painting, Display, Logo/Sign, Metal nameplate etc. 2, Decoration industry: Integrated ceiling, Partition board, TV background wall, Bathroom wall, Floor, Sliding door, Kitchen cabinet, Architectural pottery etc. 3, Glass processing industry: Glass handicraft, Art glass, Decorative glass, Glass panel, Glass wall, Glass door etc. 4, Furniture industry: Cupboard, Wardrobe, Restaurant furniture, Office furniture etc. 5, Household Appliances industry: Air conditioner panel, Refrigerator panel, Micro- wave oven panel etc. 8, Others: Color labeling, 3C digital product shell, U disk, Button, Decoration painting, Jigsaw/Puzzle, Personalized gifts etc. 1. One year quality warranty, if some parts of the machine damaged of course not by person on purpose we could provide one to you for free. 2. We have aftersale service department, engineers are meant to solve all the problems for customers, either through skype/msn, phone, email or go to customer's factory for free. 3. Lifelong time problems inquiring regarding the machines we could help you out any time you contact. 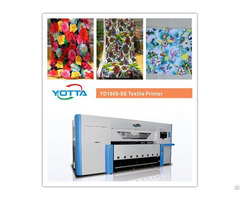 we are specializing on high-class graphic printing solutions and various material printing technologies with our own intellectual properties.